Suntec REIT announced on 17 April that it has achieved 100% committed occupancy for the office component of 9 Penang Road. The property has been fully pre-leased to UBS, which will occupy approximately 381,000 square feet of net lettable area (NLA). 9 Penang Road is a new ten-storey Grade A office and commercial building comprising two office blocks, and an ancillary retail component. The property is jointly owned by Suntec REIT, Haiyi Holdings, and SingHaiyi Group, with an interest of 30.0%, 35.0% and 35.0% respectively. It sits on the former site of Park Mall, and the lease tenure of the land has been extended for a fresh 99 years, which will expire on 7 December 2115. Fit-out work on 9 Penang Road is expected to commence soon after receiving temporary occupation permit (TOP), with target occupation in the second half of 2020. 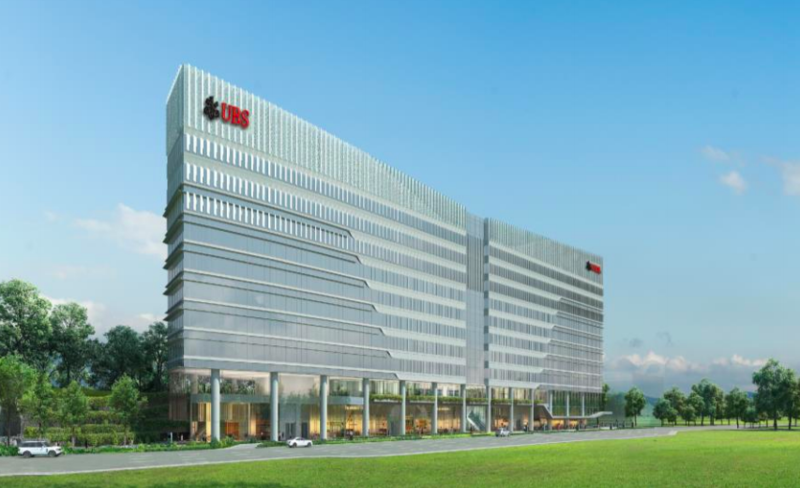 “With the office component leased to UBS, unitholders will enjoy revenue from the fully leased office space soon after TOP as compared to varied rental commencement by multi-tenancy leases”, said Chong Kee Hiong, CEO of Suntec REIT’s manager. “Its lease tenure will also provide stability of income stream with a potential for growth”, he added. UBS has close to 4,000 staff in Singapore, and currently occupies parts of One Raffles Quay, and Suntec City- both of which are also properties of Suntec REIT. Suntec REIT is currently conducting pre-leasing activities for 9 Penang Road’s retail component, which features approximately 15,000 square feet. The REIT’s manager will work with UBS to curate the line-up of retail tenants on the property. Suntec REIT last changed hands on the Singapore Exchange at SGD1.89.